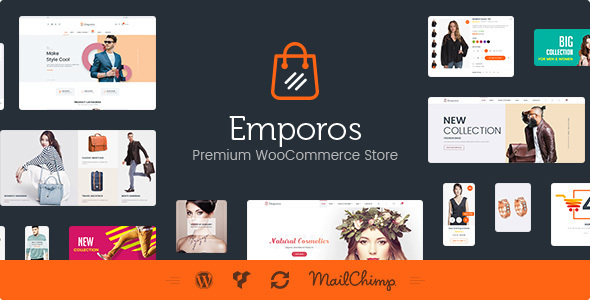 Emporos is a Responsive WooCommerce Theme with a clean attractive design, based on Bootstrap. Perfect for an e-commerce store and is fully compatible with WooCommerce. The creative and elegant user interface of the website is equipped with amazing functional features and paid plugins to perform the best in the WooCommerce world. The mobile-first and pixel-perfect layout of the website, crafted beautifully with the best possible color combinations and elements, looks stunning when used as an e-commerce store.